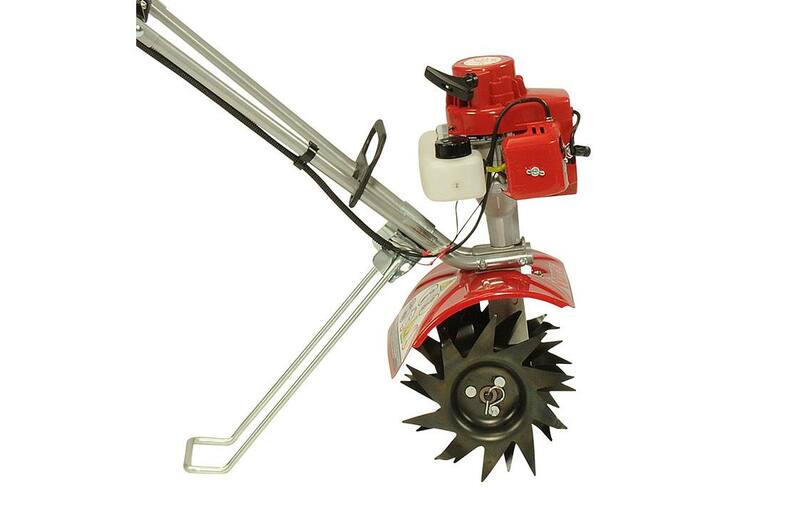 Heavyweight tilling power in a lightweight, compact size starts 75% easier. 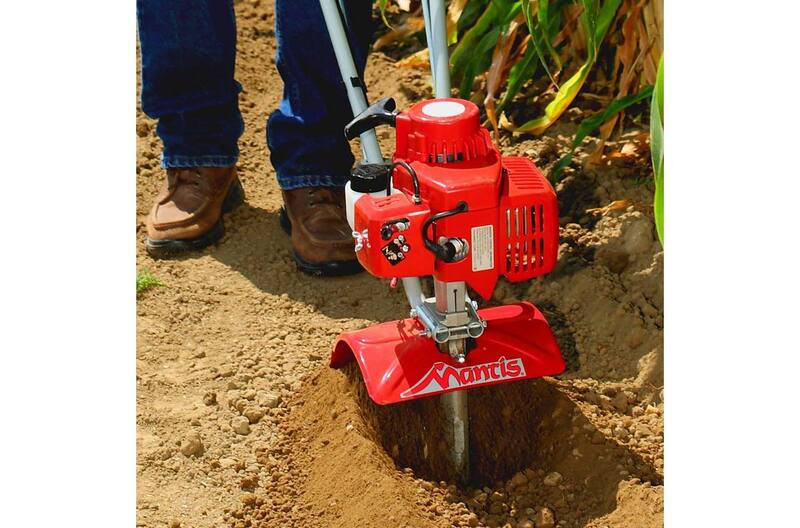 The Mantis 2-Cycle Plus Tiller/Cultivator with FastStart technology starts with less effort. The secret is a spring-loaded ratchet-coil that adjusts the piston and compresses the air while delivering fuel directly to the ignition point. That’s what makes starting faster, easier and with much less effort! 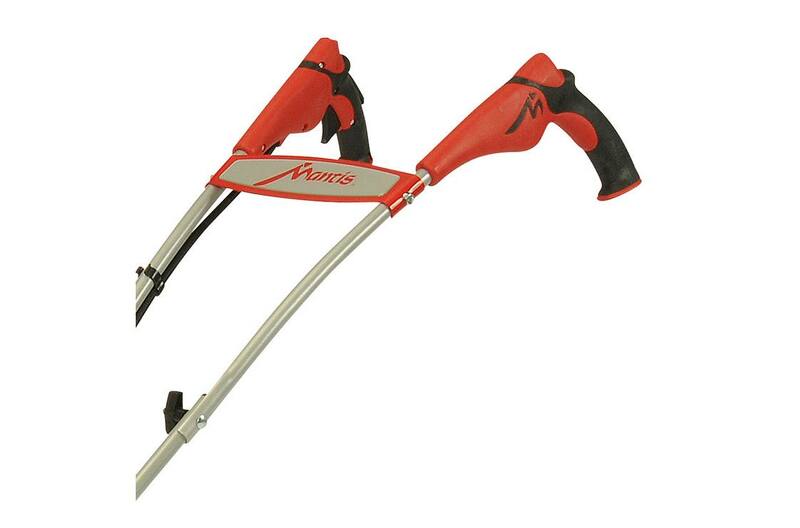 This mini tiller is lightweight, just 20 lbs. But it tackles big jobs like breaking through sod or digging holes for planting new shrubs and trees easier than using a shovel. 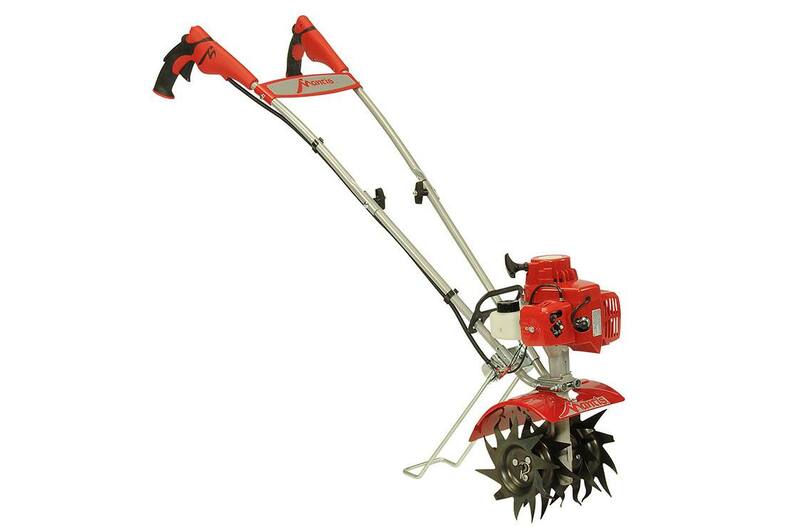 Just flip the tines around and speed-weed and cultivate around delicate plants and seedlings! Uses a 50:1 gas/oil mix. 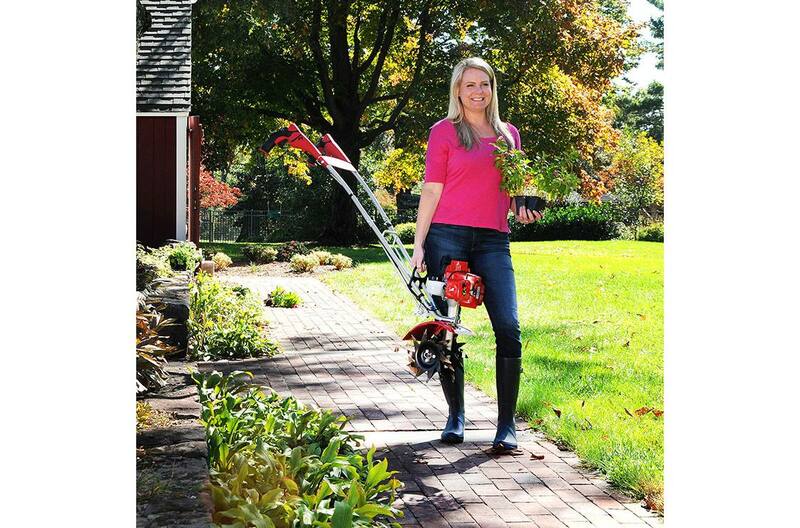 Mix it yourself or pre-mixed fuel at home and garden centers or hardware stores near you! State of the art design has soft, Sure-Grip Handles. Ergonomically shaped for comfortable, fatigue-free operation and the grips feature a flush-mounted throttle, palm-controlled switch with infinite speed control for ease-of-operation. Reliable Easy-To-Start Engine with FastStart: Commercial-grade two-cycle (gas/oil mix) engine PLUS FastStart technology for 75% faster and easier starting. Push button priming for quick, easy starts, time after time.